Sugarcane farmers in the country are currently owed Rs 22,000 crore, but the government has allocated only Rs 1,175 crore – a mere 5% of the total pending dues – to be credited directly into the accounts of farmers. New Delhi: On June 6, the Union cabinet announced a Rs 7,000-crore bailout package to ‘deal with the current crisis in the sugar sector’. The government’s use of the word ‘current’ is curious as it is unlikely to provide any substantial and immediate relief to sugarcane farmers or the sugar industry. Of the Rs 7,000 crore package, only Rs 1,175 crore (17% of the total) has been allocated to pay the pending dues of sugarcane farmers. The rest, worth Rs 5,732 crore, is aimed towards providing financial assistance to sugar mills in order to augment capacity by investing in infrastructure. According to the government’s own admission, sugarcane farmers in the country are currently owed Rs 22,000 crore. Yet, it has allocated only Rs 1,175 crore, a mere 5% of the total pending dues, to be credited directly into the accounts of farmers via the creation of a buffer stock of 30 lakh metric tonnes of sugar. The reimbursement will be made on a quarterly basis on behalf of the sugar mills against pending cane dues. “There is nothing for farmers in this package. It is only an attempt to cleverly manipulate the figures and put up an appearance of providing aid to the farmers, while the reality is that the farmer is not gaining anything from this package. This package is only to benefit the mill owners,” said Pushpendra Singh, president of Kisan Shakti Sangh. “All the farmers wanted to know was when the Rs 22,000 crore of dues would be cleared. And we are still looking for an answer,” Singh added. The government has focussed on providing aid to the sugar industry, which too is suffering its worst crisis in recent years. The steps involve the provision of credit to the tune of Rs 4,400 crore and interest subversion up to a maximum of Rs 1,332 crore to upgrade existing distilleries attached to sugar mills. While these steps would, in theory, benefit the industry in the long-run, they fail to deal with the current crisis – an objective that the government had set for itself. The cabinet decision also included the setting of a minimum selling price of Rs 29 per kilogram for sugar. Currently, the selling price of sugar is hovering around Rs 26 per kilogram. According to industry estimates, the cost of producing sugar is around Rs 36 per kilogram, and the government’s setting of a minimum price of Rs 29 per kilogram fails to address the problem. “Any price below the cost of production in Uttar Pradesh of Rs 35-36 a kg is a loss for sugar mills. The current package, therefore, would not help much to curtail the Rs 130 billion cane payment arrears in UP,” Ajay Shriram, chairman, DCM Shriram Ltd was quoted as saying by The Business Standard. The crisis that the sugar industry finds itself in has been a result of excess production of sugar in the current season which has depressed prices resulting in a liquidity crunch for sugar mills which has in turn led to pending sugarcane dues for farmers. While India’s estimated annual consumption of sugar is 25 million tonnes, production in 2017-18 touched 31.6 million tonnes. As estimates show, the sugar industry and sugarcane farmers are likely to be in a similar crisis next year too as domestic production is likely to be in excess of domestic consumption. The steps announced by the government are unlikely to provide any relief in dealing with the current crisis which, experts expect, could carry forward to the next season as well. The government’s package has focused heavily on long-term investments in sugar industry, the benefits of which will not accrue to sugarcane farmers who are facing a crisis in the present. Of the Rs 22,000 crore owed to sugarcane farmers in the country, sugar mills in Uttar Pradesh alone owe Rs 13,000 crore. 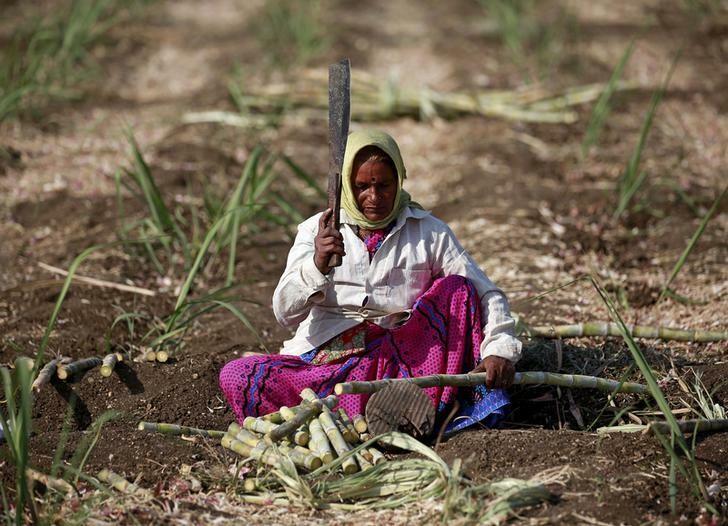 Sugar mills in UP have not paid 37% of the amount owed to sugarcane farmers. Jeetender Rana, a sugarcane farmer from Modinagar in western Uttar Pradesh, has pending dues of Rs 3,40,000 from the Mohiuddinpur Sugar Mill and has not been paid since February 4. “This sugar mill recently inaugurated a new plant. But that hasn’t meant that farmers get paid on time. This government lacks the will to help farmers. It only know how to make noise,” said Rana.